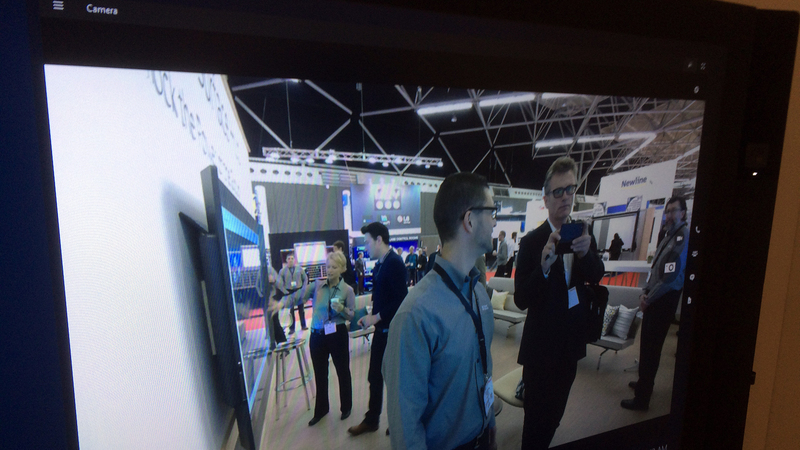 At Amsterdam’s Rai centre, ISE 2015 proved to be its biggest yet, I think all halls are used up and our jellied legs are proof of that! 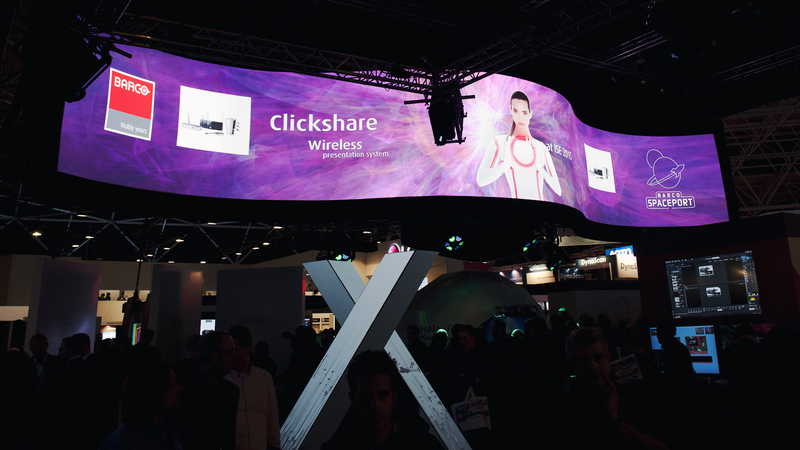 Hall 8 with Digital Signage as its main theme had our main interest with an abundance of touch screen hardware on display, some of it of the best quality and some of it well……. Day 1 we thought that the exhibit came off to a slow start but Day 2 literally doubled in presence, so we felt, with aisles overall being very busy and sometimes even very crowded. We tried to visit most halls, and will probably be mad to do all four days next year as this show actually requires it, two days definitely don’t cut it any more. There is so much to see, and talk of course! 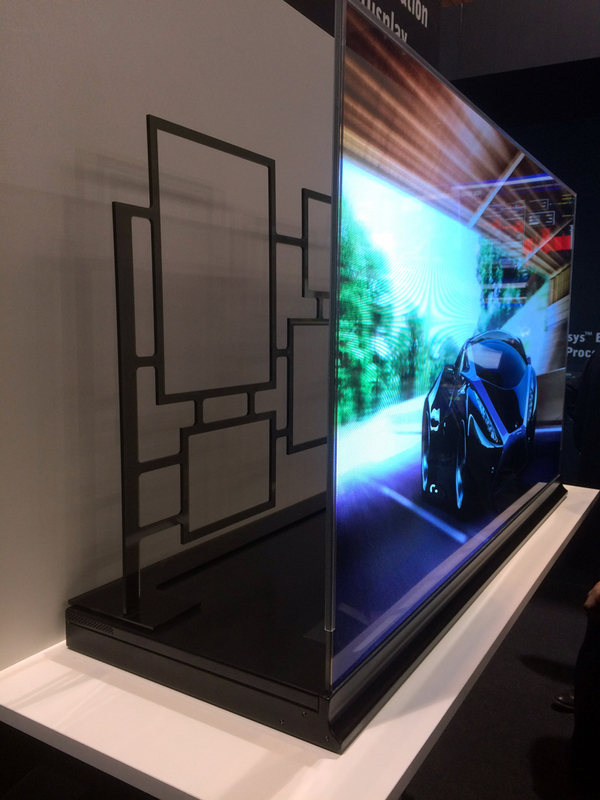 The Transparent Oled Display by Planar, very nice, and above all slick. The unit was inside its stand, a bit hidden from general view, but people still swarmed to it, to check it out. 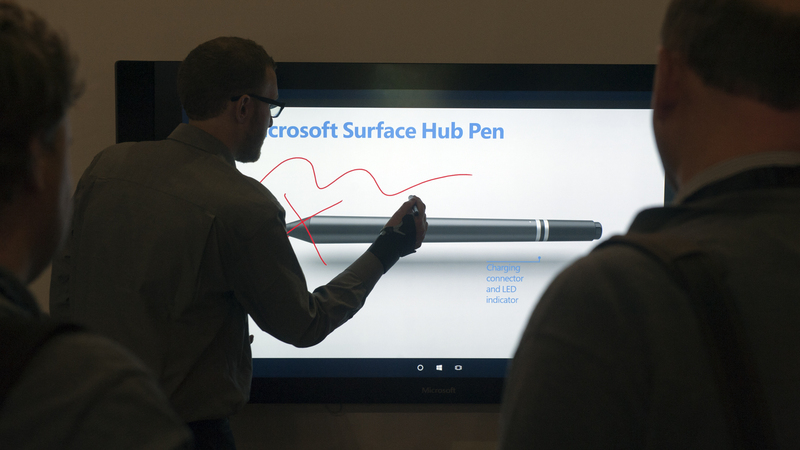 The Microsoft Surface Hub had our biggest interest, and we ended up visiting the Microsoft Stand 3x during our two days at ISE 2015. The stand itself was a humble affair and in the far end of Hall 8. There was plenty of demoing going on with all types of different scenarios but it in the end it all comes down to the collaborative work environment. This is could be and actually should be the next conference room tool. The whole set-up was devoid of a full Windows 10 or Office integration, and that eventually has the potential to become its killer app, because once you integrate spreadsheets and documents it becomes a valuable tool for every participant, overall this could have a rather stimulating influence on the employees with this additional interaction. They will be more engaged no doubt. 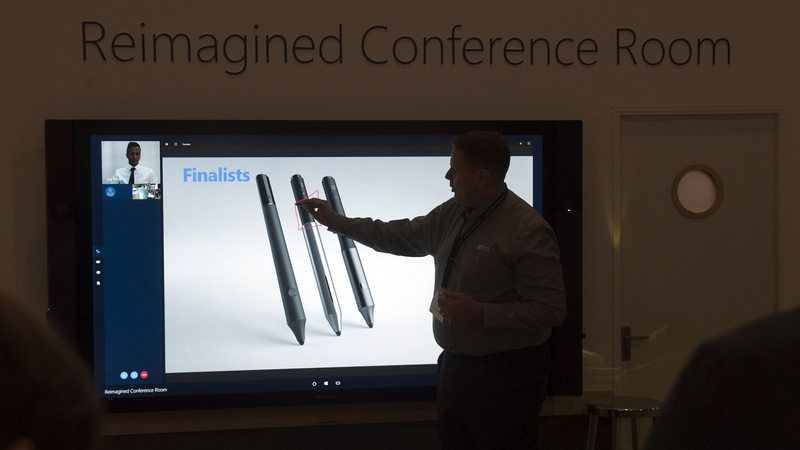 The SurfaceHub comes in two sizes 55 and 82 inch, has two cameras and speakers, has a built-in pc and comes with a stylus, which, since we had a go ourselves, is very smooth to interact with. Software-wise there was already plenty to interact with and that’s before Windows 10 and MS Office are added on! This brings us to a criticism about content on most stands, overall it was just too shallow and not very imaginative as from what we saw in general that people were interacting only for seconds instead of minutes. In short: a very promising start and we would love to know when it will be out fully packaged, as we do want one! 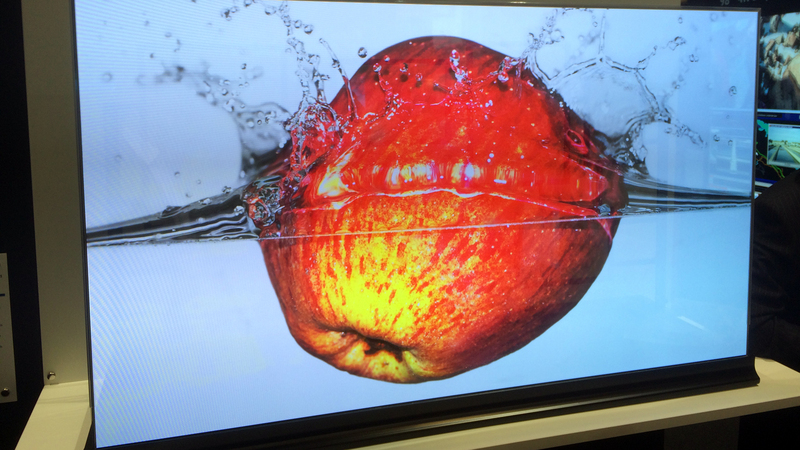 When it comes to projection, Barco does not disappoint. 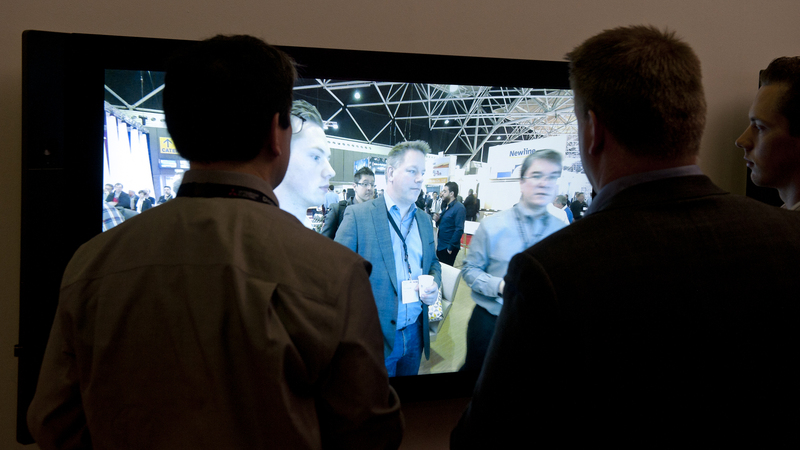 LG 105″ 5K multitouch screen, making a 2×1 multitouch wall set-up with 55″ screens wall almost obsolete. Very bright and responsive screen. Yeah nice! 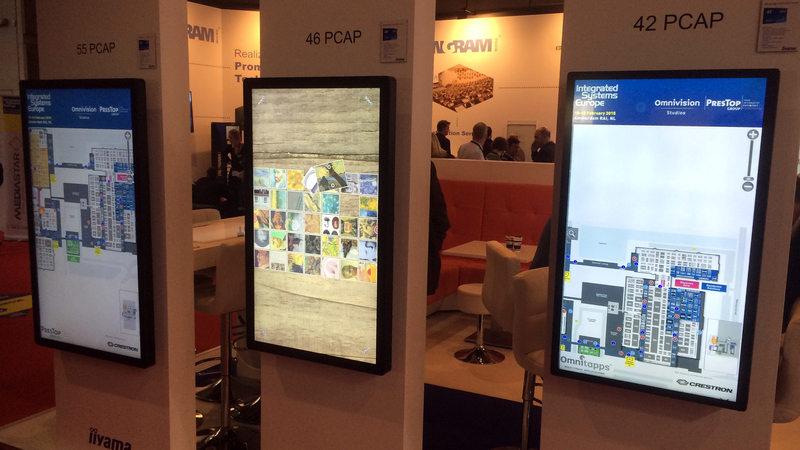 Iiyama PCAP (12TP) in 42, 46 and 55, Impressive. 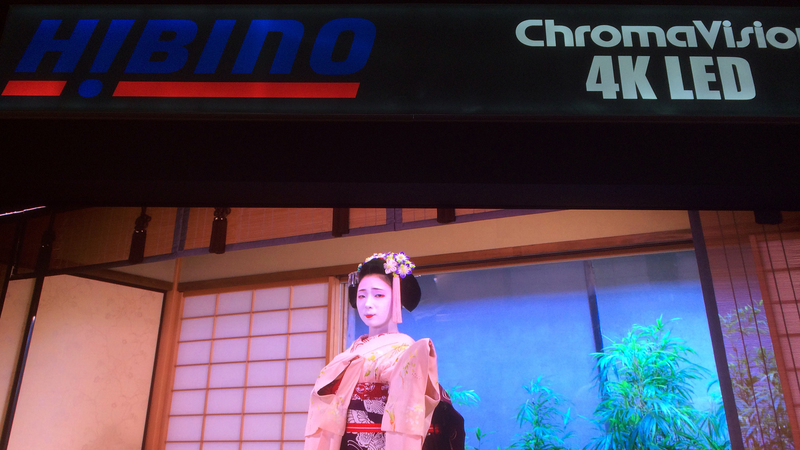 LED walls have taken huge steps forward with its display quality like this one from Hibino. 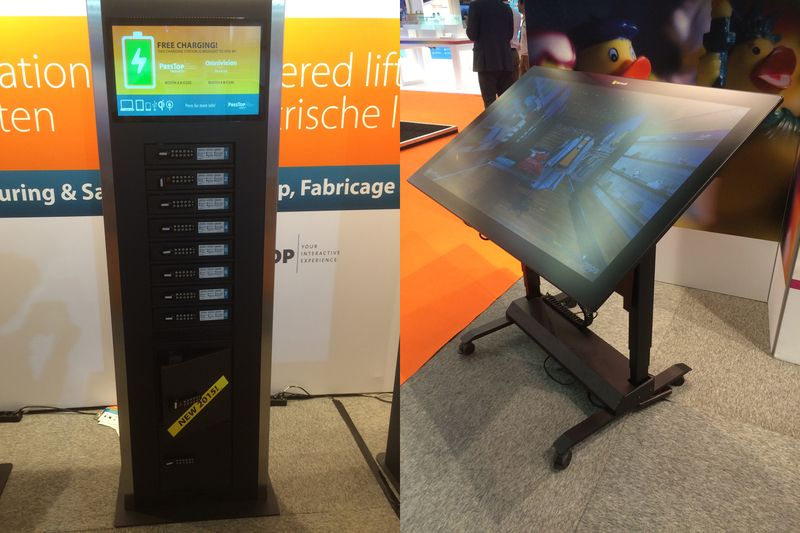 Prestop had the iPhone charger safe with touch screen (L) and the 55 inch PCAP Microsoft Perceptive Pixel multi touch screen on a mobile electric stand (R). 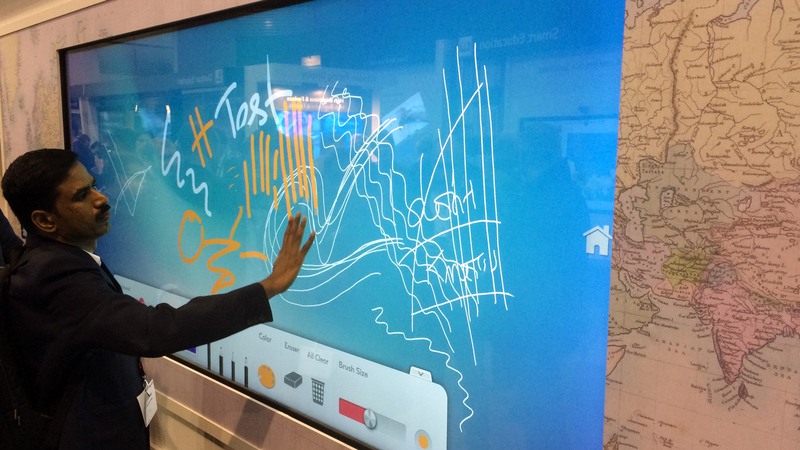 We did not see anyone else displaying this fab touch screen. Overall, ISE 2015 was an incredible show, but having better Wifi would help, even on some of the stands the reception was the equivalent of a 14400 modem. Needless to say that we will be back next year for the whole four days to deal with another overdose of AV viagra. Simply beautiful.